with either Sender Policy Framework (SPF) or DKIM, you’ll see a question mark in place of the sender’s profile photo, corporate logo, or avatar. Please note: Not all affected email will necessarily be dangerous. But we encourage you to be extra careful about replying to, or clicking on links in messages that you’re not sure about. And with these updates, you’ll have the tools to make these kinds of decisions. Change management suggested. The Help Center articles below outline the expected behavior, and can be used to help effectively communicate these changes to users. 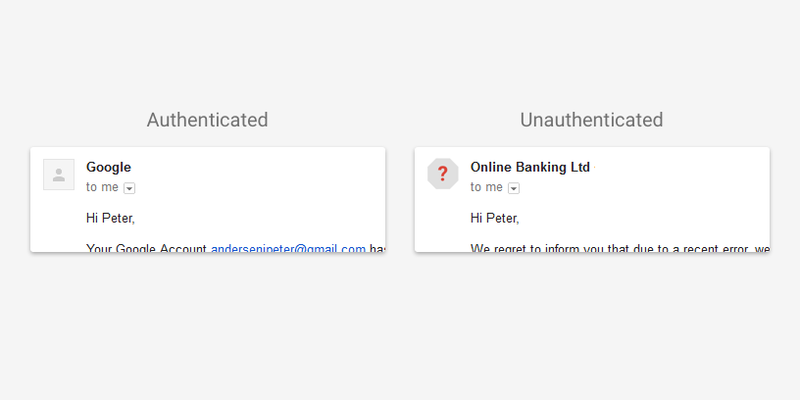 Starting this week, we’re introducing two new security warnings in Gmail to help you keep your email safer. 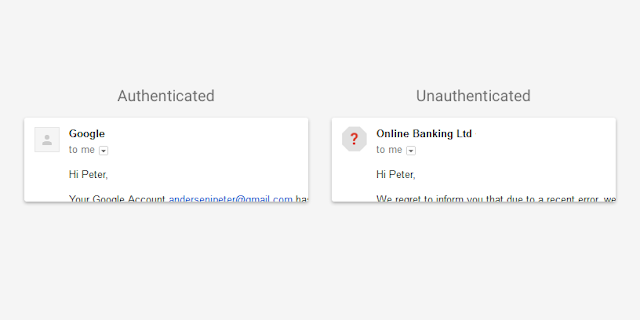 On the web or Android, if you receive a message that can’t be authenticated with either Sender Policy Framework (SPF) or DKIM, you’ll see a question mark in place of the sender’s profile photo, corporate logo, or avatar.